Welcome home to one of Lake Nonaâs most exclusive gated communities: Waters Edge. This immaculate, corner 4/3 townhome features a great floor plan with a downstairs guest bedroom and full bath. The living and dining space is open and bright , beautiful wood cabinetry and gorgeous granite countertops. The second floor includes a generous master bedroom ensuite with dual sinks, walk-in closet and two additional bedrooms with full bath plus laundry . 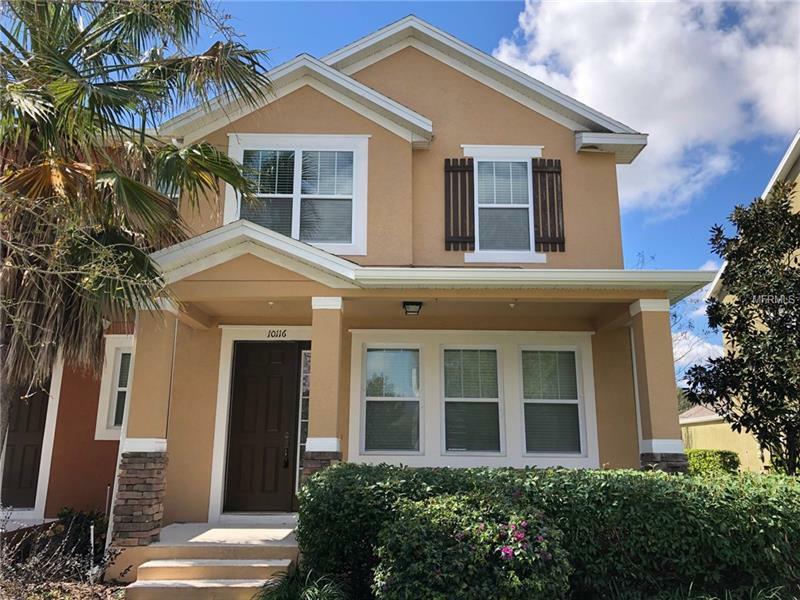 The Waters Edge community offers access to beautiful Lake Nona that includes a boat ramp and dock, Community Pool, Clubhouse, Basketball Court, Tennis Court, playground, BBQ area, Nature Trails and a Dog Park. HOA includes YMCA household membership and lawn maintenance. Convenient to the new Medical City, VA Hospital and UCF Medical Facility. Easy commute to the airport.